Growth in visitor numbers from Melbourne has been supported by the introduction of low-cost carrier Tigerair last December. Canberra is becoming an increasingly popular drawcard for residents of our neighbouring big cities, with strong growth in visitor numbers for leisure purposes from Melbourne and Sydney helping the ACT to again smash previous records for the number of domestic visitors. A record 2,649,000 Australians came to Canberra in the year ending June 2017, injecting $1.621 billion into the ACT economy. This represents a 17 per cent increase in spending over the previous year and is the second strongest growth in spending of all the states and territories – exceeded only by the 30 per cent increase in spending in Tasmania. Tourism Research Australia’s latest National Visitor Survey reveals that the number of people visiting Canberra for a holiday was the main driver of the increase in visitors. On average, these visitors spent $180.29 per day and stayed in Canberra for 2.7 days. The numbers of visitors coming to Canberra for leisure purposes from Melbourne increased by 39.0 per cent in the year to June 2017, while the number from Sydney increased by 11.9 per cent and the number from regional NSW increased by 1.9 per cent. 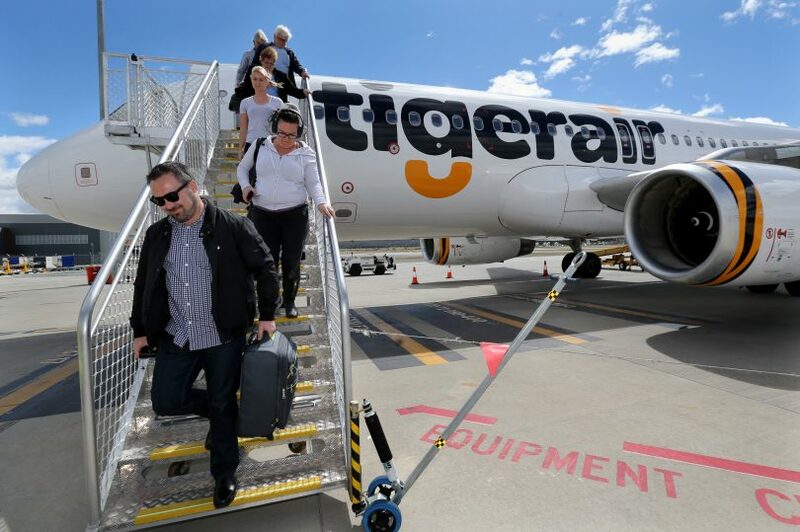 “Growth from the Melbourne market has been supported by the introduction of low-cost carrier Tigerair last December and cooperative marketing efforts undertaken,” said ACT Chief Minister and Tourism Minister Andrew Barr. “The results reflect the ACT Government’s concerted marketing efforts to attract more visitors through VisitCanberra’s ongoing marketing activities and event funding programs,” he said. Mr Barr said that the ACT Government continues to work towards its goal of growing the ACT’s overnight visitor expenditure to $2.5 billion by 2020. My first ever Tiger booking was to Canberra from Melbourne. The flight was cancelled hours *after* arriving at the airport. For the cool cost of $240 (a lost hotel night and Uber to/from the airport), we wasted 7 hours of a Sunday night and 3 days of leave.